If you’re one of the many owners of a Philips W8355 smartphone, you probably know that it comes with a TFT capacitive touchscreen equipped with multitouch. It’s appreciated for its amazing colors and the general look of the display, that make it great for watching videos or even long-length movies. After using this device for an extended period of time, it can sometimes start to have certain issues. If your phone has been slow, froze or been unresponsive lately, you should learn how to do a hard reset on the Philips W8355. This is a simple procedure that is especially recommended when your phone cannot recover by pressing the Power key to do a soft reset. You can also try to delete some of the files you don’t use and uninstall apps that aren’t important for you. This should solve minor issues, but if the problems keep getting worse, a factory restore will allow you to bring the device to original settings by erasing everything stored on its memory. Before we show you how to do this, it is important to make sure that you understand how to Philips phone functions. This will allow you to intervene anytime when something bad occurs or the procedures don’t go as expected. 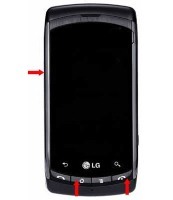 First and foremost, this phone is powered by Android’s Ice Cream Sandwich – version 4.0 of this operating system. It also comes with a Qualcomm MSM8225 Snapdragon as its chipset and a 1.5 GHz processor. Also coming with a 5 MP and a 2 MP camera, the phone takes pretty decent photos and nice videos. The Adreno 203 GPU and the 4 GB ROM, as well as the 512 MB of RAM make this smartphone fairly appreciated among its users. It currently only comes in black, and the GPS it comes with is great for whenever you get lost in some unknown area. The first method that you could use is one that focuses on the main menu and settings in order to do the hard reset. It brings the phone back to factory state and removes all files that you stored on the internal memory. This includes pictures you’ve taken, videos that you shot, as well as audios and music, apps you’ve installed and documents you’ve worked on. Before you proceed, please make sure that you transfer all important files on a cloud or another device. Open the Applications Tray and look for Settings. Go to Personal Settings and choose Security. Select the option saying Wipe Data and tap Erase all. This will confirm that you agree with the terms and prompt the reboot. Turn the device off and make sure it’s charged. Press and hold these keys: Volume Down, Home and End Call. Wait for the recovery menu and release the buttons. Use volume keys to select Wipe Data and confirm with Home. Select the option saying Reboot System Now and wait for a few minutes. Don’t interrupt this operation under any circumstances, as it might block the phone and cause you to lose all files without being able to bring it back to original settings. It won’t take more than 5 minutes, and you can then use the Philips and restore all files using your previously-made backup file.